Doctor Who fans recently underwent one of that show’s most unique traditions: the regeneration of the Doctor and the introduction of a new actor into the role. We’ve still got some months before we’ll get to see what Peter Capaldi brings to the role as the Twelfth(ish) Doctor, but amidst all the 50th anniversary celebrations in recent months, there’s one segment of modern Who-dom that got short shrift: Christopher Eccleston fans. Granted, his refusal to participate was his own decision, but it did mean the very noticeable absence of the Ninth Doctor while Ten and Eleven were running amok with the so-called War Doctor. Hell, even the Eighth got his moment to shine courtesy of The Night of the Doctor, but all we got of Nine is stock footage and a brief cameo from his eyes and forehead during John Hurt’s regeneration. While there was a lot to love about Doctor Who’s 50th anniversary spectacular, The Day of the Doctor, there were a few things that could have been better. Most noticeable was the absence of Ninth Doctor Christopher Eccleston, the dude who helped bring the show to its current heights by kicking off a new era of Doctor Who (along with executive producer Russell T Davies). There has been tons of speculation since his single season aired as to why he has distanced himself from the show, but the bottom line is that, for whatever reason, that wasn’t a road he was interested in returning to. So it wasn’t surprising that he opted not to participate in the special, but it was disappointing, and you could often feel scenes where the Ninth Doctor really should have been there, especially since he was the closest of the three modern Doctors to the new guy, John Hurt’s so-called “War Doctor.” But while The Day of the Doctor feels somewhat lacking without Nine, showrunner Steven Moffat has gone on the record to give us some hints of how Eccleston’s Doctor would have figured into the special — and the truth might surprise you. As of today, we’re exactly one month out from the long-awaited premiere of Doctor Who’s epic 50th anniversary special, “The Day of the Doctor.” Last week we finally got to see the first trailer for the special, and it was…well, special. It served up glimpses of each of the Eleven Doctors, not to mention tons of little nods to the show’s long history, and while it was awesome, it was also a little bittersweet. It’s going to be thrilling to see Matt Smith and David Tennant sharing the screen as dual Doctors, but at this point, barring any surprises, they’ll be the only two Doctors taking part in the adventure. (Well, almost…) And while bringing back the older Doctor actors would have been tricky given their age, Ninth Doctor Christopher Eccleston easily could have returned for the fun…if he’d wanted to. 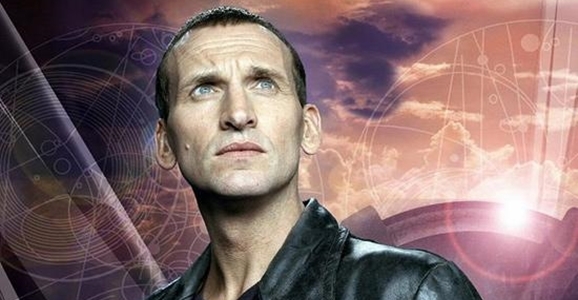 For a “serious actor,” Christopher Eccleston has earned some solid geek cred over the years. He was the Ninth Doctor, for crying out loud. He’s playing a dark elf in the upcoming Thor: The Dark World. Hell, he even played Destro in the horrible G.I. Joe movie. Okay, that last one isn’t much of a bragging right, but at least his part was less embarrassing than Joseph Gordon-Levitt’s. Either way, he’ll soon add another genre role to his CV, although it won’t be on screen. He’ll be voicing Winston Smith, the protagonist of Nineteen Eighty-Four, in a new radio drama production of George Orwell’s classic novel. Oddly enough, there are some frequent connections between Doctor Who and Nineteen Eighty-Four’s protagonist, Winston Smith. In addition to Eccleston, both Second Doctor Patrick Troughton and Peter Cushing, who played the Doctor on the big screen in Dr. Who and the Daleks and Daleks’ Invasion Earth: 2150 A.D., played the role of Smith at some point during their careers. The two-part Nineteen Eighty-Four radio drama will begin February 10th on BBC Radio 4. If you’re not in the U.K., odds are you’ll be able to find it online or for purchase at some point down the line. With Doctor Who celebrating its 50th anniversary next year, many secret things are being planned, and many fans are trying to figure out what those secret things are, and many people even tenuously connected with the series are being asked if they know anything about those secret things. While we still have very little concrete info about what sort of awesomness will be rolled out for the anniversary celebrations, folks such as current Doctor Matt Smith and Tenth Doctor David Tennant have been teasing fans about what they may or may not know, including possible returns or cameos from any of the surviving former Doctor or companion actors. One ex-Doctor who doesn’t appear to be terribly interested in the whole mess? 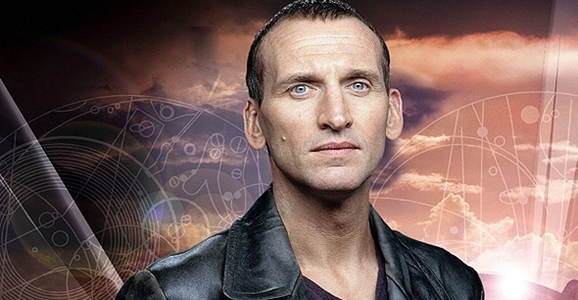 Ninth Doctor Christopher Eccleston. During an interview with RedCarpetTV, Eccleston was asked what he’d like to see from the Who celebrations, and if he’d like to be involved. You can see the interview below, and the relevant portion begins at the 0:37 mark.